I’ve always enjoyed watching a good game of baseball or football, and the great players who make the game interesting. Frederick Biletnikoff played for the Oakland Raiders from 1965-1978, and he made the game very interesting with his amazing receptions. Biletnikoff had a skill set that was the envy of many of his football peers, but he also had something else–stickum. He was one of the first players to apply a sticky substance to his hands to improve his ability to catch the ball. As I was leaving St. Francis hospital yesterday, my thoughts were on two people. Fred Biletnikoff and Catherine Beedles. 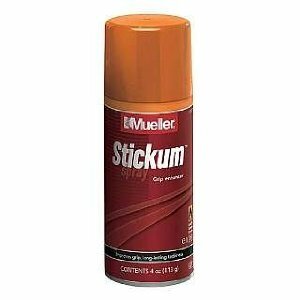 I know it’s a strange pairing, but there is a distinctive that binds the two of them together–stickum. Catherine Beedles has stickum. Two of the great blessings in my life have been Dale and Catherine Beedles. My mind is full of memories of Uncle Dale and Aunt Catherine. I remember their house in Eureka, the many family reunions at Sallyards, and the wonderful way Dale and Catherine have loved me. My aunt has been the matriarch of the Seymour clan for many years, and her stickum has helped to hold the family together. When a life was fragmenting, Catherine was the force who was present to help piece it back together. The presence of Catherine has been a splendid present to me. I would imagine that you have an Aunt or Uncle Stickum or some friend in your life who has been a real blessing to you. Have you ever taken the time to write them a note to thank them for all they mean to you? I encourage you to do this and to thank God for this wonderful gift He’s given you; and, when you pray, remember Catherine as well.